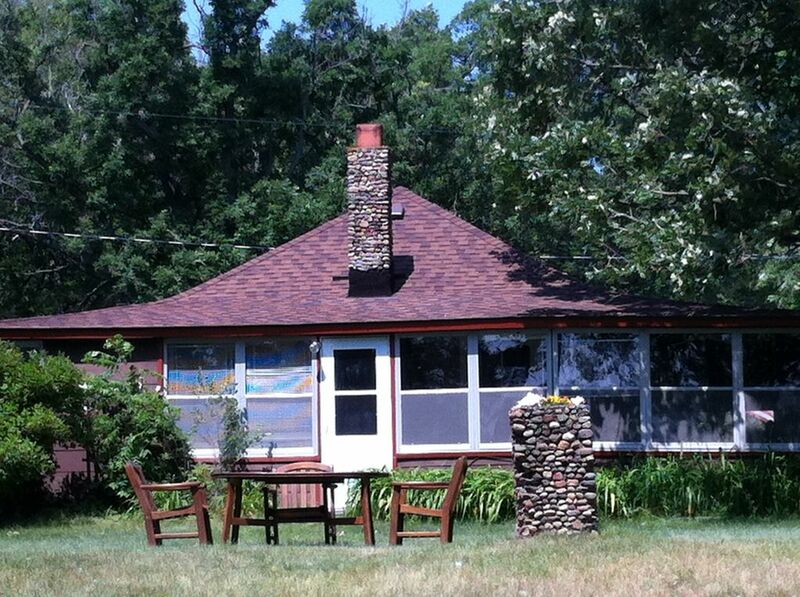 Charming 2-bedroom cabin with boathouse on Big Carnelian Lake in Stillwater for rent. Enjoy Big Carnelian Lake, just 5 minutes north of Stillwater and only 25 minutes from the Twin Cities. Ideal location for commuting to work or snowbirds returning to Minnesota. Cabin is kid friendly with a beach and very private on dead end road. Spacious 2 acre lot, enjoy 125 feet of lakeshore for great swimming, fishing, boating, recreation and beautiful sunrises. The cabin is within 5 minutes from the historic business district of Stillwater, the birthplace of Minnesota on the St. Croix River. Step back in time as you shop for antiques and unique gifts in the variety of shops or galleries or enjoy one of the fine restaurants located on Main Street in downtown Stillwater. Lowell Park along the river and Pioneer Park on the bluff offer dramatic views of the river. Visit wineries, take a balloon ride, hit the hiking or biking trails or just relax with a treatment at the spa. Come spend the summer at our cabin and you will be glad that you did. Maximum occupancy is 6 and owner maintains this cabin with pride and comfortable furnishings with a full kitchen, 3 sitting areas, 2 dining areas, fireplace, 3-season porch, deck, boathouse and 3 outdoor fire pits. 2 bedrooms fully furnished plus a sleeping porch that will comfortably sleep 6 while providing plenty of space to socialize. Bedroom 1 has a queen bed, bedroom 2 has a full bed with twin bunk on top and another twin bed, sleeping porch has a trundle bed and full size bed. Sheets, blankets and pillows provided for beds. Bathroom has shower, no tub. Towels for showering are provided (bring your own beach towels). Full eat in kitchen is equipped with: full size refrigerator, flat top stove, oven, microwave, toaster, coffee maker, dishwasher, cooking utensils, pots, pans, dishes, utensils, (bring your own paper plates, etc if you like) and washer/dryer. Amenities Include: TV, VCR, DVD, Stereo, Ping Pong table, Picnic table, outdoor chairs, gas BBQ grill, fire ring, and large lakeside patio. Beautiful, quiet and clean lake that is Stillwater’s best kept secret and many days you are one of very few on the lake with a private boat dock. You may bring your own boat; public boat access is located on the west side of the lake – within ½ mile. Shallow swimming beach with boat house and deck 10 feet from shore. Paddleboat and fishing boat (no motor) are provided. Bring your own life jackets. Rental Rate Information: Available monthly April – October: $3,100 per month + tax. Minimum rental period of 1 month. Deposit: First months rent + $1,000 refundable security deposit required up front. No indoor smoking permitted in cabin, porch or boathouse. Outdoor smoking requires deposit of butts in fire ring. Call Tony to check availability and set up your vacation plans.